I am sure you know of the WWWOW DiGi Awards 2012, so many participants and one of them is Eqbalzack, you can check out his website to find his entry. 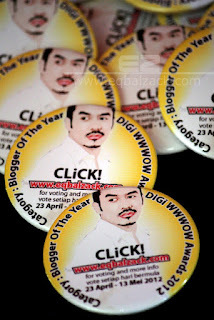 You can vote for him under Nuffnang Blogger of The Year. 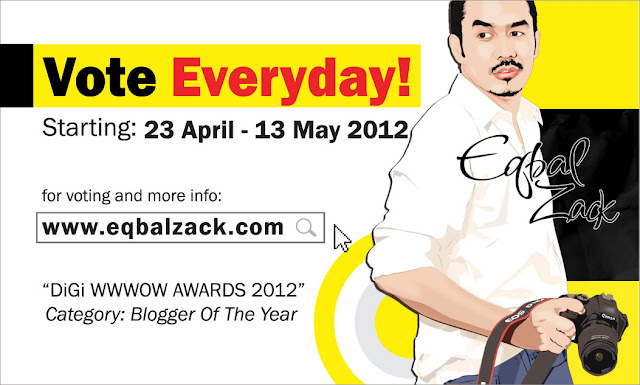 You can vote everyday until 13 May, 2012. He has got wonderful prizes to giveaway, above the cute limited button is up for grab for all participants. For detail of his giveaway just click above link.